To say that Manchester United is a popular sports team is really not doing the legendary soccer club any justice. The team, nicknamed the Red Devils, has won 20 English Premier League titles, 12 FA Cups and three Champions League victories in their history. But in that span of triumphs Manchester United became the second highest-earning football club in the world with annual revenues surpassing $580 million (US Funds). Published reports have estimated that Manchester United’s value is at $2 billion. It is already one of the most widely supported teams in any sports globally. But did you know that Manchester United is going through its own digital business transformation strategy with help from solution provider HCL Technologies. HCL, headquartered in India, has been hired by Manchester United to become its official digital transformation partner. The club is already the envy of many other sports teams with 659 million followers, more than 60 business partnerships. But faced many challenges entering the new digital stage of the team’s history. What Manchester United learned is 46 per cent of social media activity is related to sports. Of that 67 per cent of fans use second screen devices during games. The Red Devils also learned that 76 per cent of fans in the stadiums use a mobile device when the game is going on. 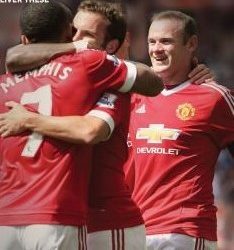 HCL’s mandate with Manchester United is to help the team pivot towards the digital age. The partnership entails a lot of experimentation using the United Xperience Lab at Old Trafford Stadium. Legendary soccer star Bobby Charlton named Manchester United Stadium Old Trafford “the theatre of dreams” for a reason. The reason is a simple one; based on the experience a person receives during a match game or a visit to the ground built in 1910. That dream continues today as Manchester United is one of the first soccer clubs to extend their game day experience throughout the globe. With that goal in mind, HCL’s first order of business is do develop an official app and re-build the Red Devils’ Web site. These first two initiatives will try to make ManU fans take in the digital experience as if they were in the seats on game day, while also aiding sponsors to engage better with those fans who don’t have a ticket to the match. In a statement, HCL said this partnership is unique in the value that it aims to create not just for Manchester United and its fans, but also for forward looking organizations across the world. It is therefore in its true sense, not a partnership. It is a sign of a new reality – one where technology is making business a team sport.